This has been deemed by a friend as my pirate's outfit which is entirely fine by me since probably 20% of my clothing references the high seas in some way, shape, or form. 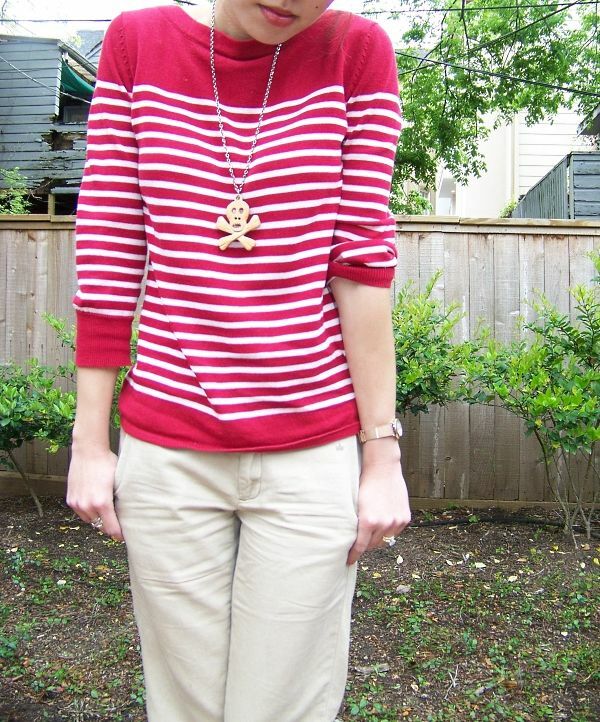 Apparently, I just can't stay away from stripes and of course, I unintentionally don a skull and crossbones necklace removing any chance of not being part of Jack Sparrow's merry crew. 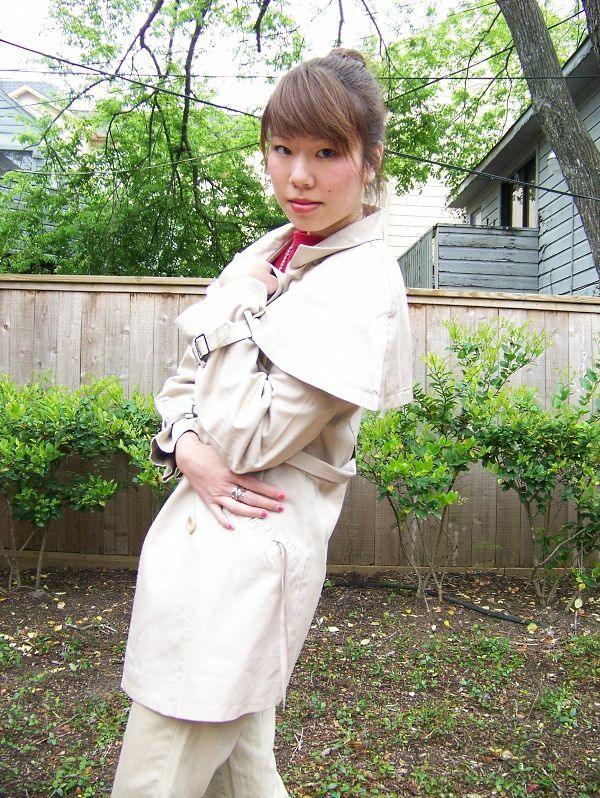 Moving onto another blockbuster hit, I found this oh-so-perfect khaki trench by Hyden Yoo. After being inspired by Sherlock Holmes, I found the design of this coat rather appealing. Look at that generous back flap! 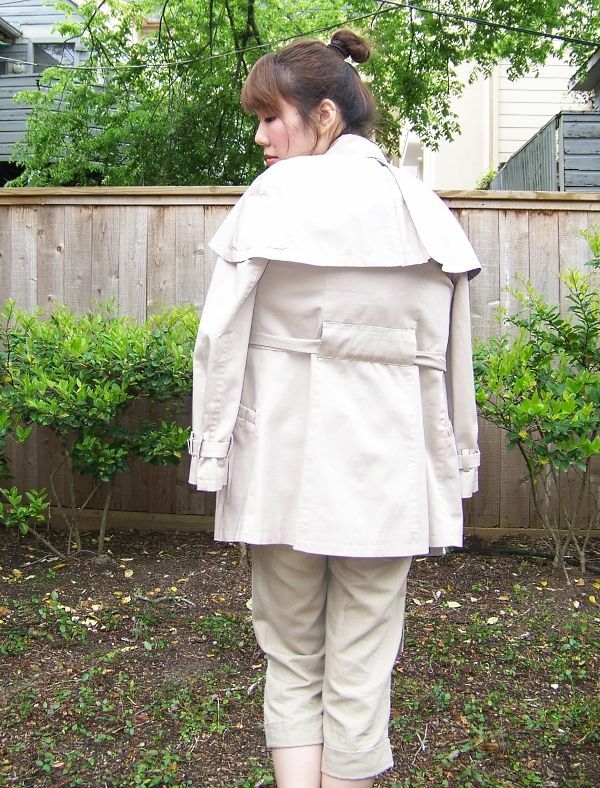 I've been looking for a trench coat, but wanted one that wasn't especially long and had some features that could stand out from the pack. 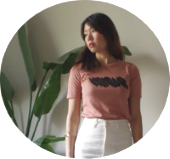 Unfortunately, Burberry is out of the question at the moment, so I was lucky to come across this gem from up-and-coming Mr. Yoo (who moved to New York and started a line after winning $50,000 from Fear Factor). He just also happens to be from Houston. Ok, so I didn't really take a great pic of the front details and no, I didn't wear khaki-on-khaki. I just put the coat on for the photo. Yeah, I couldn't wait to show it. Anywho, better pic of it later. BTW, Almost-Crazy Anita Slasher is my new pirate name given to me by the Pirate Name Generator. What's yours?? 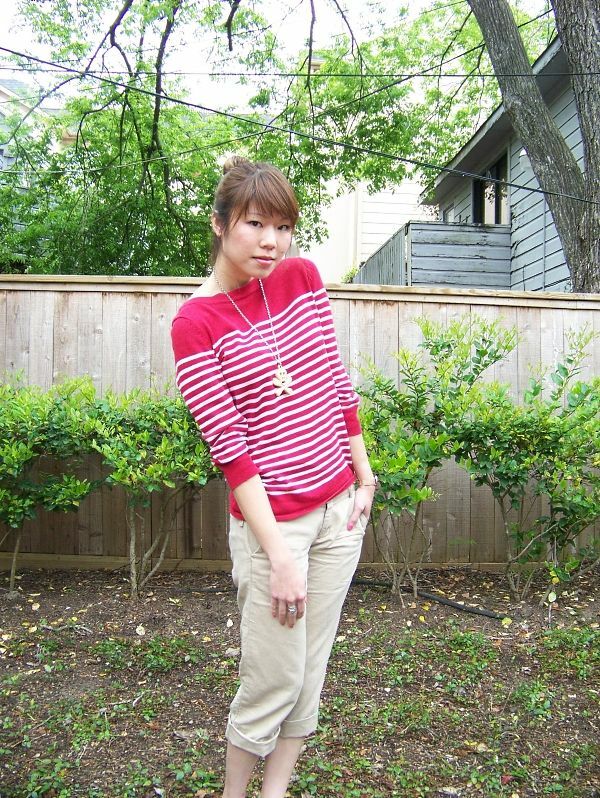 Very cute look indeed, love it! Love the crossbones necklace, so cool. And I loved the pictures from SXSW! I soooo wanted to go this year but couldn't. I am determined to get there next year! That's such a cute outfit. I love the shoes and the top. the trench is a really trendy piece! Pirate name generator sounds awesome will have to go check it out now. 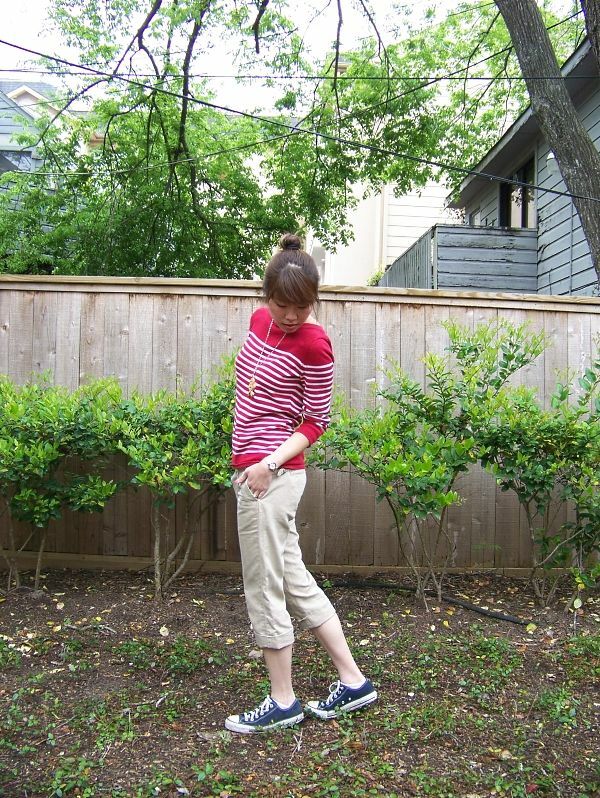 Cropped chinos are a great spring/summer item! Nookie: I think that's the best pirate name yet! The Fancier: Yes, you must go next year! It's always such a great time!